Kids’ classes at Upstream BJJ offer a fun, safe and encouraging environment for your child to grow as an individual and a martial artist. Brazilian Jiu Jitsu is a truly effective self-defense system that employs leverage and technique to defeat larger, stronger opponents. There is no striking (punching and kicking) involved in BJJ so students are able to get real experience and train with a resisting opponent safely and without injury. In our kids’ classes, students learn the basics of Jiu Jitsu for self-defense and sport while developing balance, coordination, self-confidence and interpersonal skills such as conflict resolution and teamwork. Martial arts training is a great way to teach children about the value of discipline, hard work, fitness, nutrition and humility which will serve them in all aspects of life. Classes begin with a warm-up, followed by learning technique, sparring and a game. We encourage interested students to partake in local youth tournaments to further develop their skills and challenge themselves mentally and physically. There is never any additional charge for belt tests or promotions. Classes are taught by a team of instructors who have extensive experience working with children and are themselves dedicated athletes. 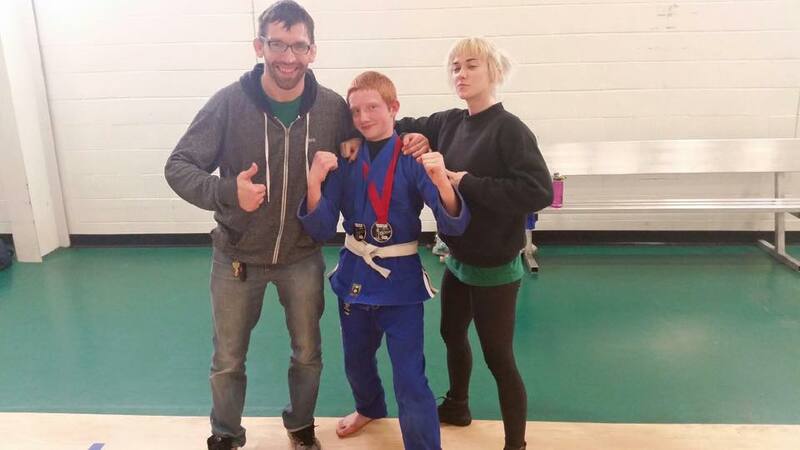 Upstream BJJ is currently accepting students ages 4 and up. For membership options and information about family discounts, contact us or call us directly at (804) 424-2536. For holiday closings, open mats, special events and more, check out our News section.